“Biodegradable homes for spring plantlife…Late starters, catch up on spring planting with this set of six EcoForms, made from compressed grain husks with natural, water-soluble binding agents.” Read more. 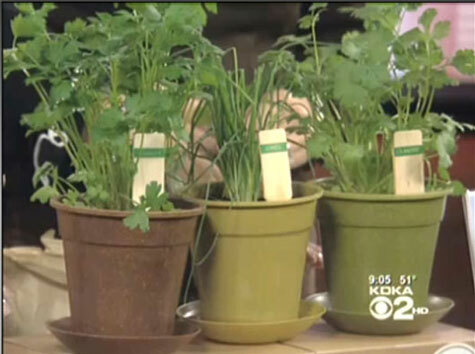 Pittsburg’s CBS Station October 2010: Featured full grown herbs from our Mini Herb Garden Kits. “What a fabulous gift idea”. 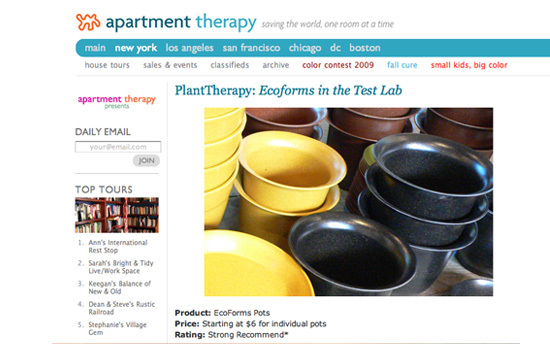 Boston’s Weekly Dig, May 2010: “For the super-earth-friendly indoor garden, EcoForms.com has an alternate to plastic with these gorgeous yet durable grain-based pots and saucers.” Read Article. ECOFORMS WINS BEST OF SHOW: “EcoForms of Sebastopol beat out more than 200 other competitors for Best of Show among exhibitors. 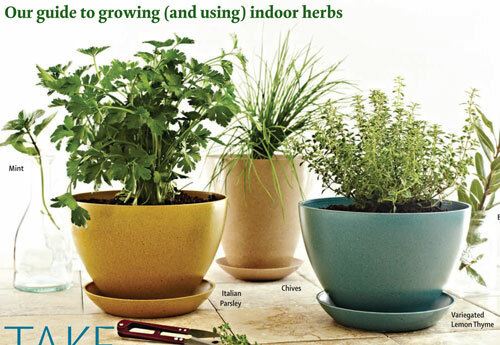 The company creates decorative pots, which range in size from 3.5-inch nursery pots to 12-by-12-inch containers, in a variety of natural colors and designs. They will last about five years outdoors and will break down if composted in large facilities, said Jed Loveday-Brown, who started the company about five years ago with his parents, David Brown and Elise Loveday…” View Article. 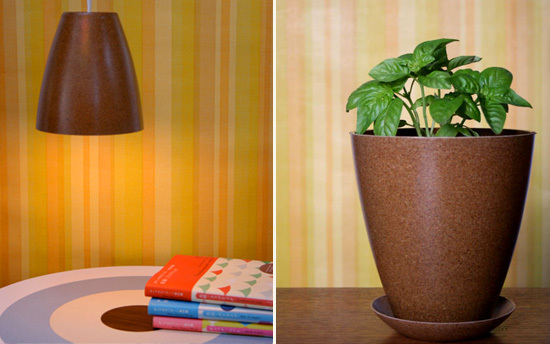 PLANTER POT PENDANT LAMP: “It’s an old habit of ours to roam the aisles of the hardware store looking for inspiration. 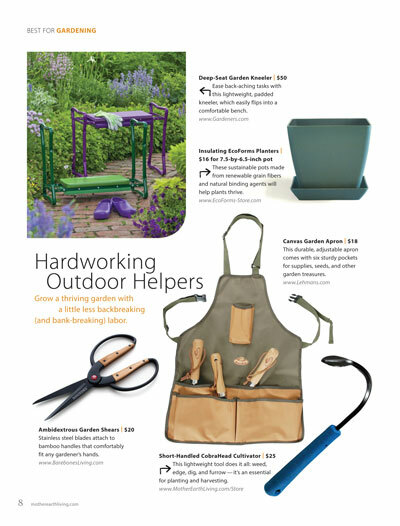 This time of year is especially fun because the garden center is bursting with all sorts of flowers and herbs. 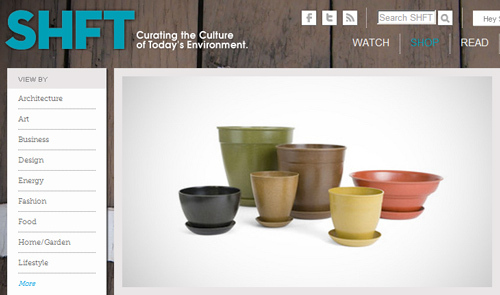 While picking up a little basil for our kitchen windowsill the other day, we found these great little EcoForms pots. we loved the shape so much we got 2—we used one for the basil, and turned the other into a simple, modern pendant lamp.” View Article. 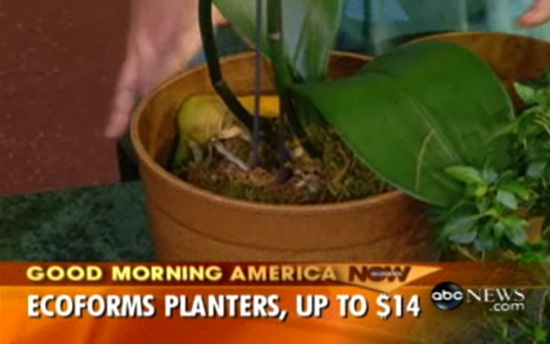 GREEN GARDENING 101: “These planters are a great alternative to plastic, they actually biodegrade in just five years and they’re made out of grain husks…” Watch Clip. GUILT FREE GARDENING: “Made from renewable grain husks, these all-natural containers are designed to last at least five years. After that, toss them into the landfill–guilt free–where they will decompose…” View Article. “It’s not easy being green. With tons of plastic being generated into the wast stream, the industry continues to focus on ways to be more environmentally conscious. 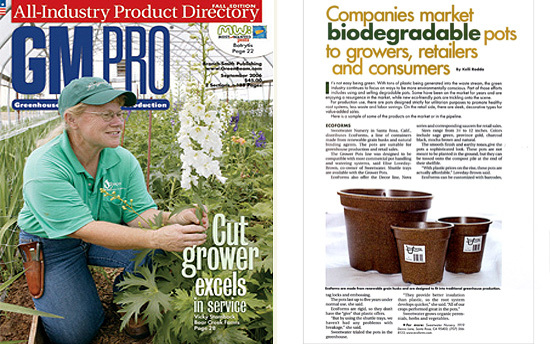 Part of those efforts includes using and selling degradable pots. 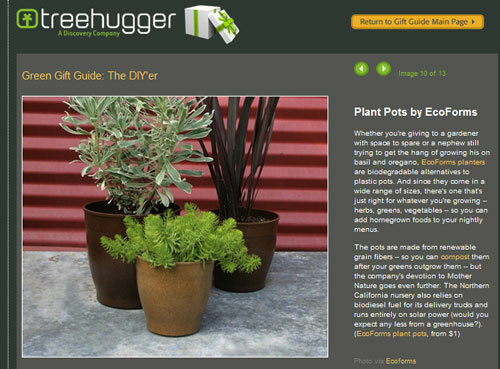 Some have been on the market for years and are enjoying a resurgence in the market, while new eco-friendly pots are trickling on to…” View Article. 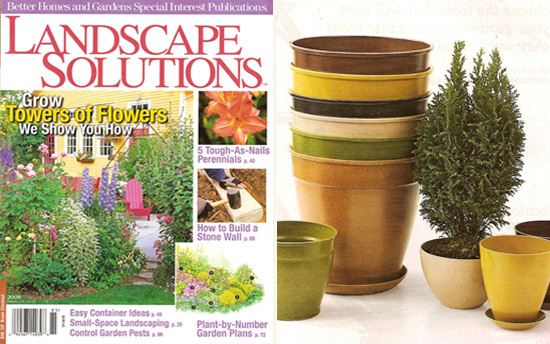 SPRUCE UP YOUR LANDSCAPE: “Grow your plants in Earth friendly containers from EcoForms and you’ll spruce up your landscape without taxing the environment. EcoForms are made from grain husks and natural binding ingredients, so they do more than support your plants–they support a healthy planet…” View Article. 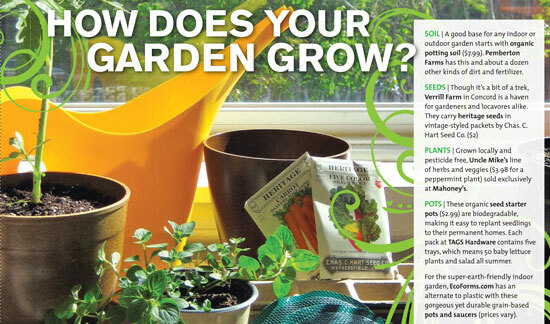 REDUCE, REUSE & RE-PLANT: “Forget pulling out last year’s cracked plastic containers for this season’s seedlings. 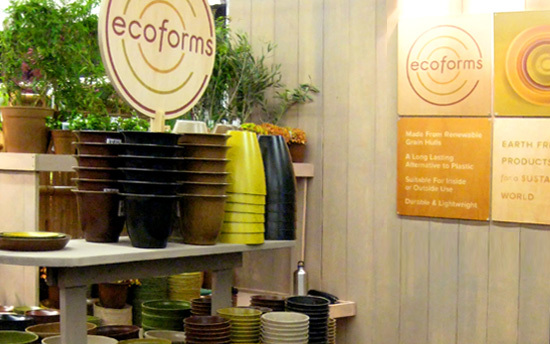 Ecoforms makes attractive pots using grain husks and natural binding agents that last about five years and then break down in a landfill…” View Article. DURABLE BUT DEGRADABLE: “More durable, but still biodegradable, are EcoForms, a line of planters made out of grain husks and natural bindings such as corn. They range in size from three and a half to twelve inches in diameter and are available in six…” View Article. 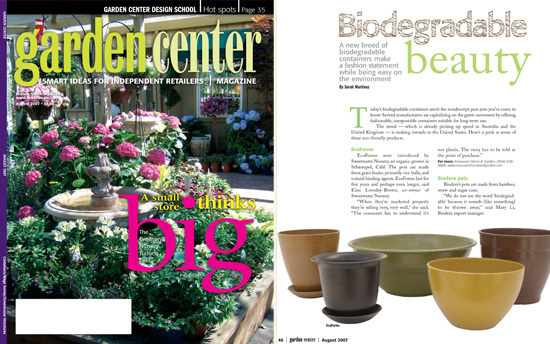 BIODEGRADABLE BEAUTY: “Today’s biodegradable containers aren’t the nondescript peat pots you’ve come to know. Several manufacturers are capitalizing on the green movement by offering, fashionable, compostable containers suitable for long-term use.The trend — which is already picking up speed in Australia and the United Kingdom — is making inroads in the United States. 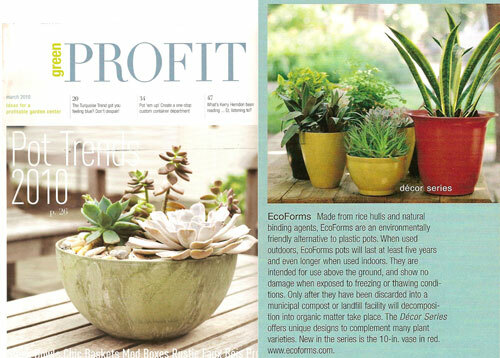 Here’s a peek at some of these eco-friendly…” View Article. IN THE TEST LAB: “We posted on these pots back in March and have been trying them out ever since to see if we give them a thumbs up or not. 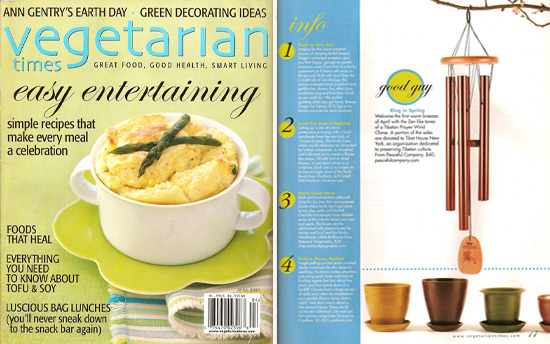 So far we are impressed with ours… The idea of a biodegradable pot brought to mind something flimsy. And I admit that the idea of such a pot being exposed to dirt and water made us wonder if they could really last. Ours have been in use for over two months with no visible signs of wear, and doing well to live up to what is posted on the EcoForms website…” View Article. 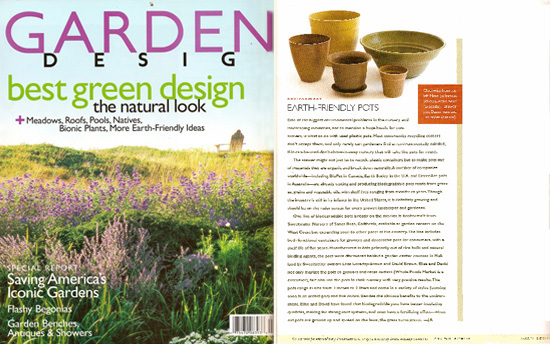 “PRACTICALITY IN EACH POT: “Made from grain by-products EcoForms offer beauty, sustainability, and practicality in each pot. 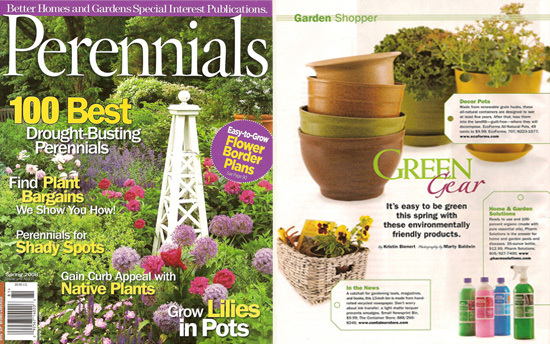 Lasting five years or more with normal outdoor conditions, these tough pots eventually will biodegrade when discarded in landfills.” View Article. 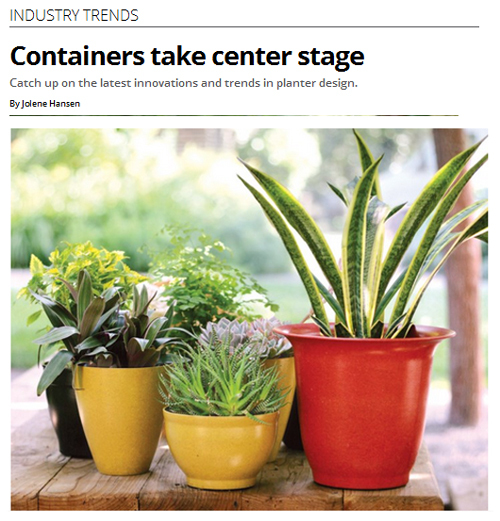 “One of the biggest environmental problems in the nursery and landscaping industries, not to mention a huge hassle for consumers, is what to do with plastic pots. 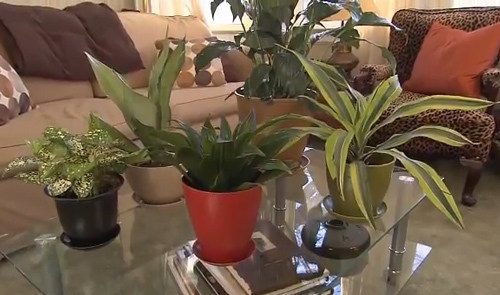 Most community recycling centers don’t accept them, and only rarely can gardeners find an environmentally minded, if-it-can-be-used-don’t-throw-it-away nursery that will take pots for reuse. 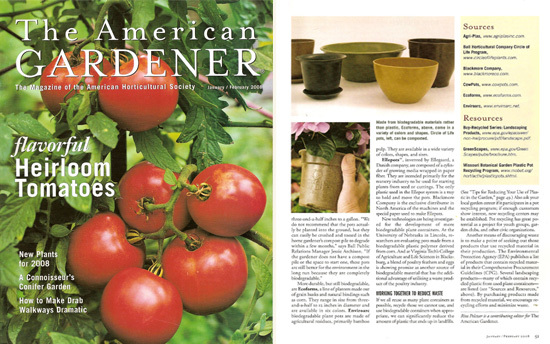 The answer might be not to just recycle plastic containers but to make pots out of materials that are organic and break down…” View Article. 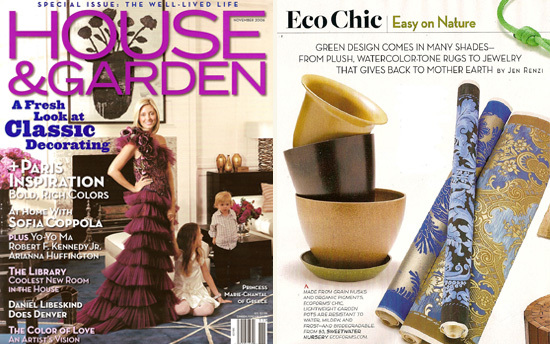 ECO CHIC: “Green Design comes in many shades–from plush, watercolor-tone rugs to jewelry that gives back to Mother Earth. 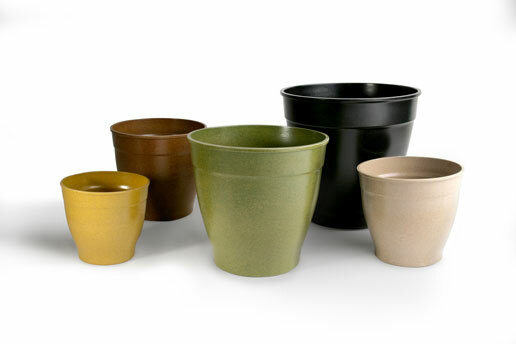 Made from grain husks and organic pigments, EcoForms’ chic lightweight pots are resistant to water, mildew, and frost…” View Article. 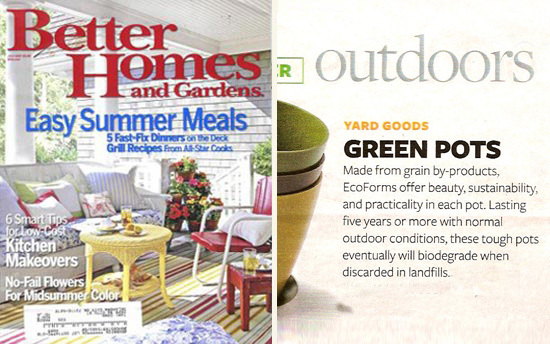 HGTV MARKETPLACE: “EcoForms products are a smart and sustainable choice for gardeners. Available in a wide range of simple and elegant forms“.